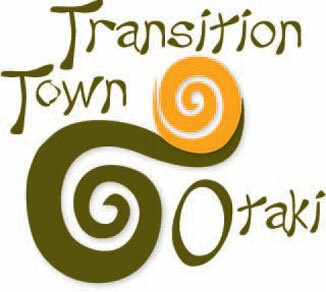 Transition Town Otaki’s AGM, held at The Tele on July 29, is to be followed by a screening of Hot Air, a documentary by NZ film director Alister Barry. Nominated for a Moa award for best documentary, Hot Air first screened at last year’s NZ film festival. It chronicles 20 mind-boggling years of political football between those kiwis, politicians and others, hoping to reduce greenhouse emissions and those sticking to business as usual. One year on, the screening is timely as the political game-playing continues, with Prime Minister John Key’s recent release of the National Government’s latest underwhelming emissions reduction targets. Described as one of the undersung heroes of Kiwi film-making, Alister Barry’s name features in a long and honourable list of intelligent and provocative films about power and democracy. From Mururoa 1973 to The Hollow Men to Operation 8 and many others, Barry has shone a light in murky corners of New Zealand society and on shonky dealings wherever he finds them. TTO members Liz and Phil have taken on the bookings, pick-up and training for people in the community wishing to borrow TTO’s KCDC-sponsored mulcher for use on their own property. Hire fee is $10 per day plus petrol. A trailer can be borrowed from the MenzShed for a donation. A deposit of $20 cash is refunded on return of the trailer and mulching machine. Please contact Liz Mikkelsen on 364-8187 to book, clearly stating your requirements if you leave a message. Training and help with pick-up will be done by Phil Malpas. TTO is working with Energise Otaki to organise a speaking visit by Rod Oram, well-known commentator and broadcaster on economics, energy, agriculture and the environment. Rod emigrated from the UK to New Zealand in 1997, after an 18 year career as an editor and writer with the London Financial Times, for whom he is still a correspondent. After several years editing the Business Herald in Auckland, Rod became an independent operator, broadcaster and public speaker. He’s an adjunct professor at Unitec in Auckland and has contributed to several regional development projects. His awards and scholarships are numerous. He’s also author of Reinventing Paradise, (2007), based on his articles and interviews about New Zealand and the challenges ahead of climate change, oil shocks, political instability and the need to earn a better, more sustainable living in the world economy. As an individual Rod also puts his money where his mouth is. In his book he outlines how his family went carbon-neutral, driven by worries about the certainty of climate change, the denial of the issue by most New Zealand businesses and the collapse of the government’s climate policy. In recent broadcasts he has described how his household has been able to go off the grid in urban Auckland by investing in solar panels and an electric car. Rod will be here for two events – a public meeting at Otaki College on Tuesday 27 October and a business breakfast on 28 October. With his broad understanding and experience both global and local, we believe that Rod is a communicator who will help inspire and motivate people to understand the Energise Ōtaki vision and get involved in its projects.